Please do not misinterpret the title of this post. This will not tell you how to not embarrass yourself. I cannot help you with that, nor can I help you solve a Rubix cube, nor can I pass a dog on the street without reaching my arms out and saying, “DOG DOG DOG.” This post is for all you people out there who might blush at the simple thought of slipping on a banana peel; the people who shudder at the thought of dropping food on yourself and staining your pants; the people who will look in a mirror, see that they had mascara all over your eyes and will think of all the conversations that you had with people and immediately plot their untimely deaths for not informing you. Coming from a person who embarrasses herself constantly, I consider myself an expert in the field and you should take every word I say absolutely seriously until you realize I’m absolutely never serious. Throughout this post I will include moments of embarrassment in my life as to make all of you feel like you actually lack the ability to embarrass yourself because I’m just too good at it and also to increase my credibility on the subject. The shorter and wittier the better. If you can make it a pun, more power to you. If you can make it a pun AND and have it rhyme, you’re a wizard. I often attempt this one and fail, which leads to more embarrassment but whatever because we have more tips coming up. 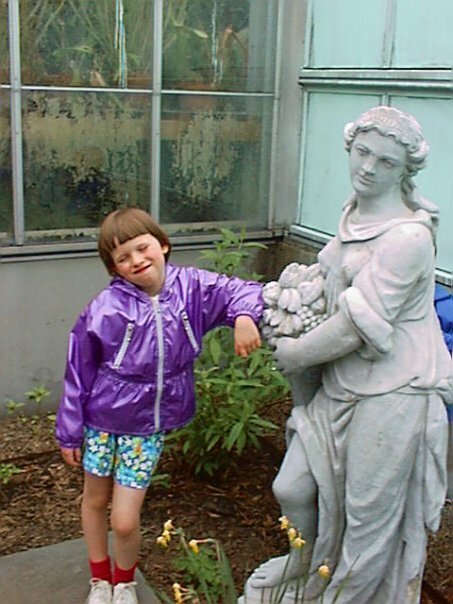 Embarrassment can come in all shapes and sizes, in this case revisiting childhood photos and realizing you were doomed from the start. 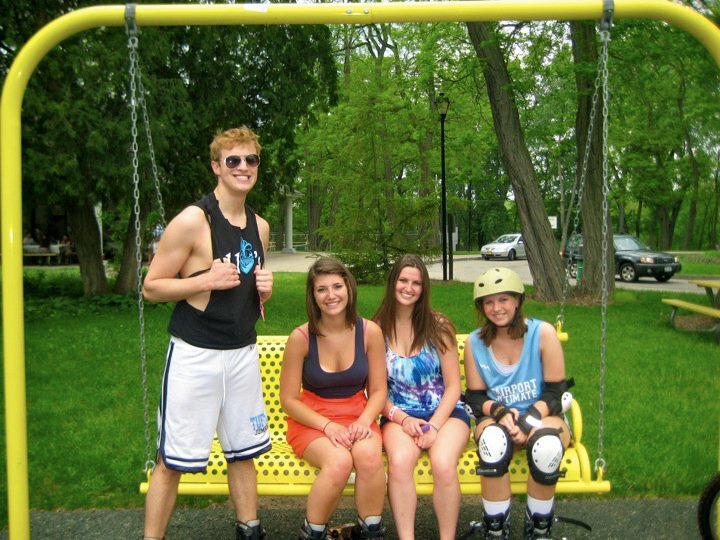 This is from the day I met almost all of my current friends. 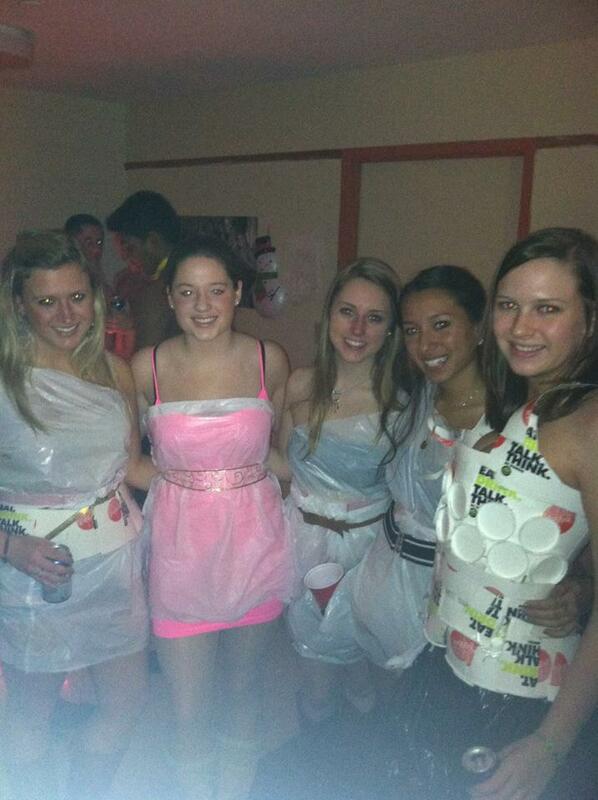 It was an ABC party and all the other girls were wearing trashbags and my roommate constructed a corset of dining cups. And the girl next to me won best outfit. This one comes the easiest to me. It can be done through a combination of other tactics or even simply through awkwardly long eye contact with someone who won’t stop staring at you. This can also be achieved with the first tip, especially if the witty comment doesn’t make any sense and everyone else will be trying to figure out what you said even means. I sometimes try to mix in some dance moves involving the running man or perhaps some gun fingers and an overwhelming smile as I slowly walk away and try not to trip on my way out. 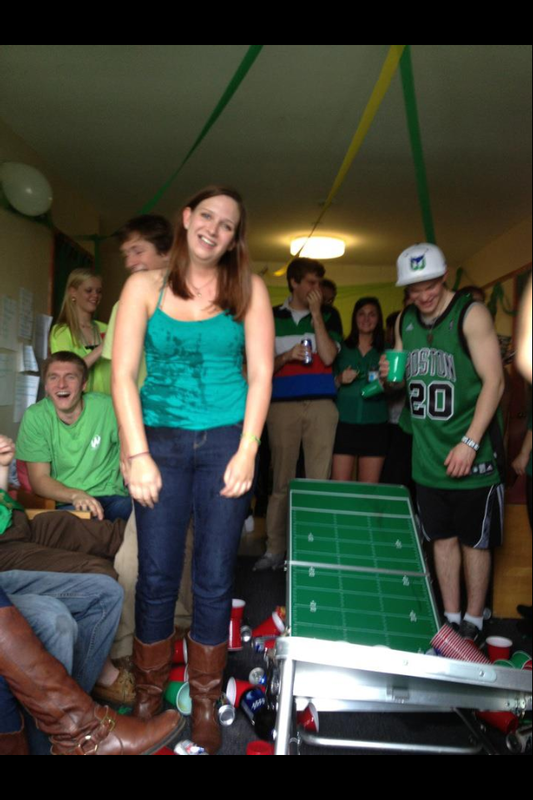 This one time I broke a beer pong table when I fell on it and clearly everyone laughed at me. Not only did I have all the beer on me, I also had a positive attitude and agreed to photos. If at first you don’t succeed, try and try again. Repetition leads to perfection. Expectations of you regarding motor skills and basic social interaction will be lowered and thus you can pretty much start doing whatever you want. This can also lead to you potentially gaining knowledge about how to rebound from the depths of embarrassment, although I can’t be much help involving that. If you do it enough then it will become almost a part of who you are. Guess which ones is me. All my other friends are normal. I’m asking for it, really. It takes a while to reach this point. I’d say it personally took me around 20 years, but once I hit it there was absolutely no turning back. I’ve started assuming the majority of the actions I take are embarrassing and apparently people are okay with it so I’m okay with it. The other day I wiped out on the snow and my friend didn’t even stop walking. This is the ultimate peak of life. I hope that I never ever ever reach the point where it wears off because that will be a day of doom and destruction and I might have to learn how to be a socially acceptable person. This is the most embarrassing picture of me I think I could possibly find. 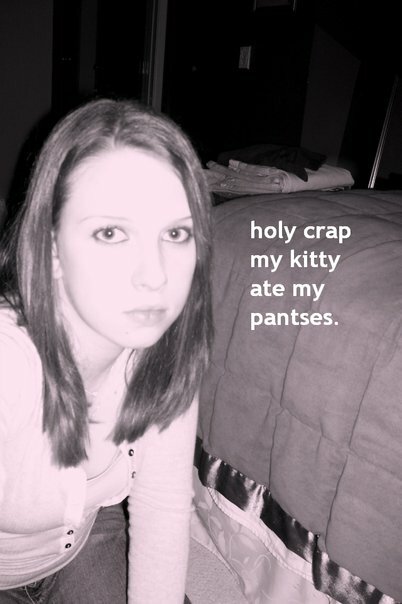 I made this myself in the 10th grade. Still available for viewing by the masses in my profile pictures.